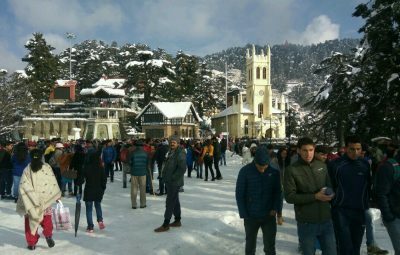 Each and every part of Himachal is worth a hundred visits for its snow-clad mountains and curvy road piercing through dense deodar trees. Be it wind chills from the snow-capped Kinner Kailash peaks or aroma of lush green tea gardens in the foothills of Palampur, the Himalayan state has so much to offer to the tourists, both domestic and international. 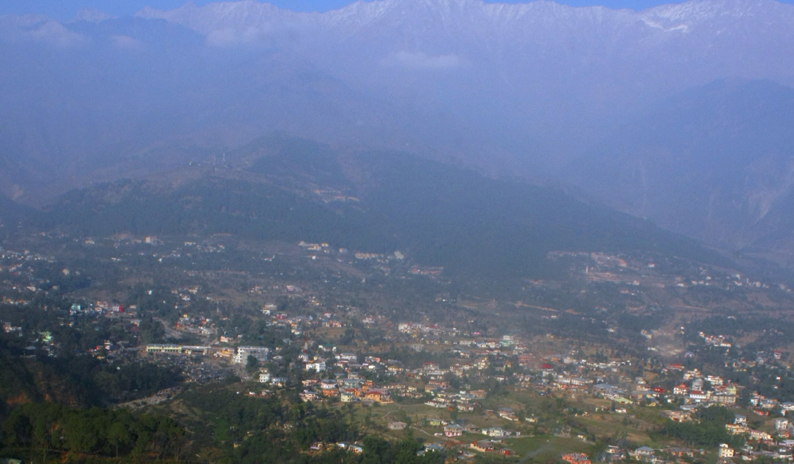 Palampur is often referred to as the tea capital of northwest India. Derived from the word ‘pulum’, meaning abundance of water, Palampur is gifted with lots of water streams that flow through mountains down to the plains. 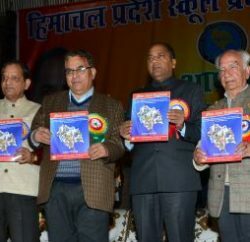 If you look at the history of Himachal, then you will find that Palampur was once part of the Jalandhar kingdom. 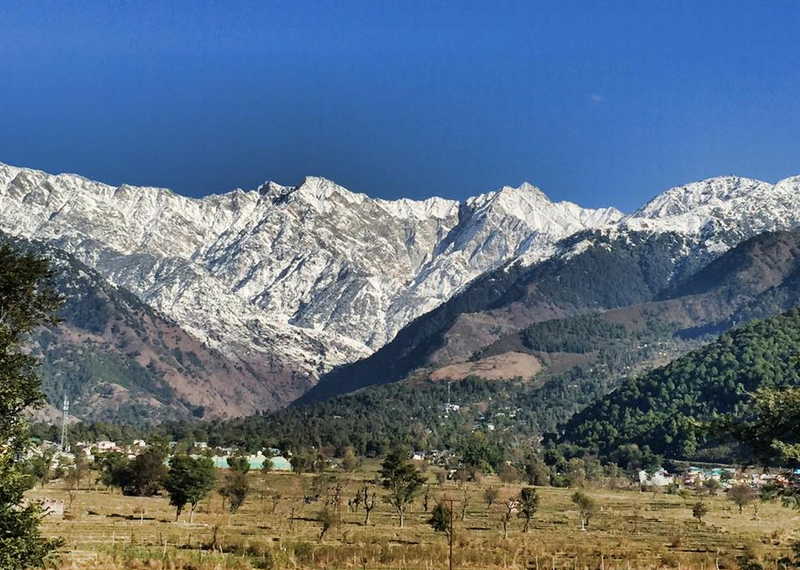 By Air: The nearest airport is Kangra Airport or Gaggal Airport, 20 kms away from Palampur. Spice Jet and Air India were running daily flights from New Delhi to Gaggal Airport, but these services aren’t regular due to climatic and infrastructural troubles at the airport. By Rail: One can travel to Palampur from Pathankot (112 km) through a narrow gauge railway. The approximate journey time can range from 6-8 hours. However, keep in mind that there is no booking facility with the railway. 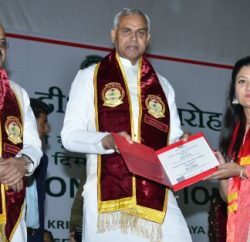 By Road: Palampur is well-connected through wide roads to all places of commercial relevance. Himachal Road Transport Corporation (HRTC) runs frequent air-conditioned, Delux and Semi Deluxe buses from Delhi (530 kms) and Chandigarh (254 kms) to this small yet famous hill station. Tickets can be booked online from HRTC website. Neugal Café would be the first place to mention as it’s the most visited place in Palampur. 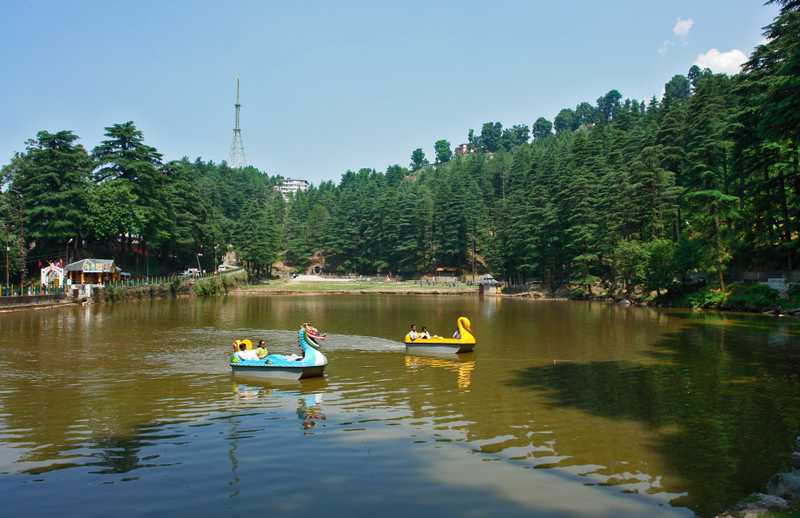 Other than that, the Sourabh Van Vihar offers boating experience in a small lake besides a small green park. At about 12 km from Palampur, one can visit Dhauladhar Nature Park at Gopalpur. The religious ones can take blessings at famous Devi Latii Jakhni’s temple located at the top of Chandpur village, old Vindhayavasni temple near Bundla falls (328ft), and Mata Bandla devi temple situated at a distance of 1. Km from Neugal Park. 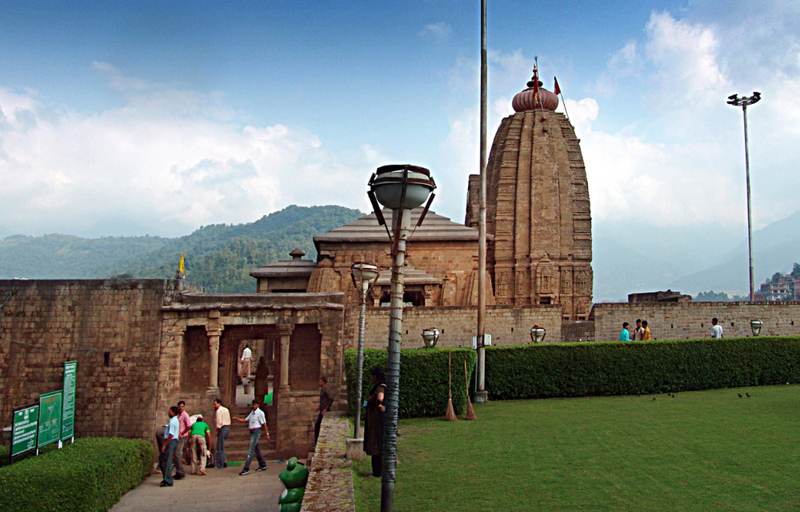 Baijnath is a Hindu pilgrimage situated just 12 kms from Palampur. It is the oldest existing Shiva temple said to have been built by Pandavas close to Bina Khand. If one can manage covering another 25 kms from Palampur, the Chamunda Devi temple is worth visiting. 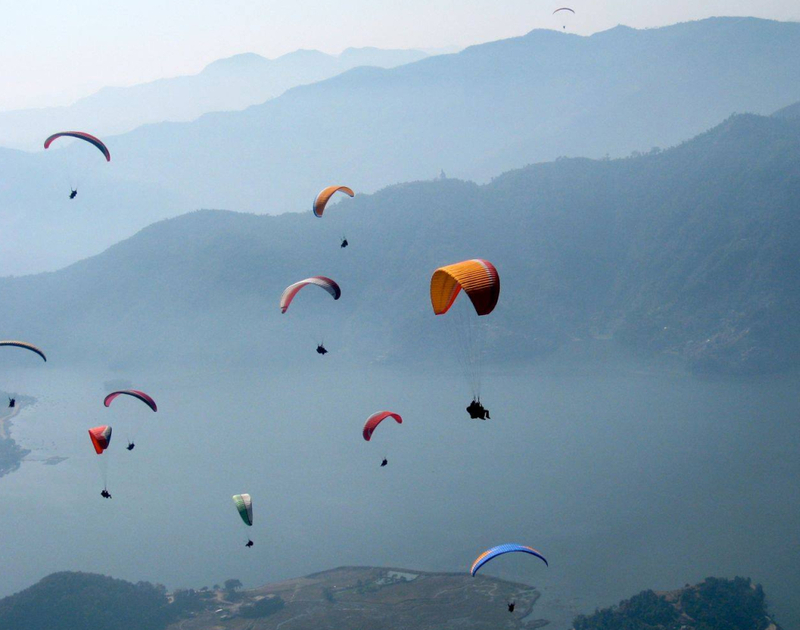 For adventure sports lovers, Bir-Billing, near Baijnath, hosts one of the world’s best paragliding sites. Trekkers can also explore Birni Mata temple from Bundla. 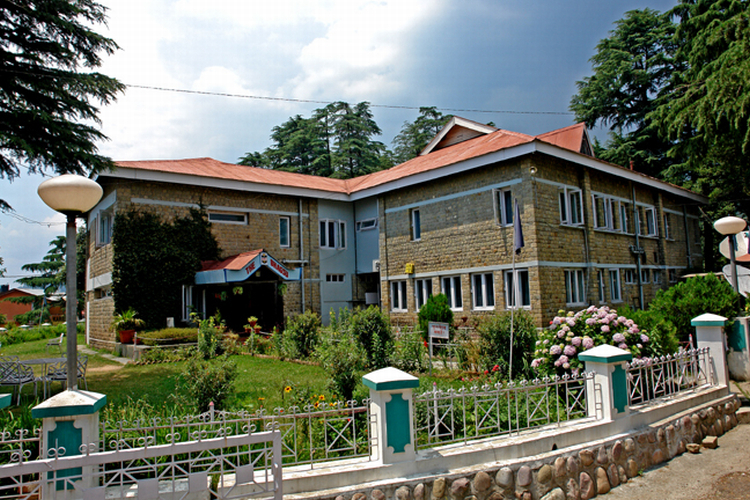 HPTDC maintains and runs two hotels in Palampur. One of which, the Tea Bud hotel, offers Deluxe facilities, while the other one, the Neugal, is a budget hotel. 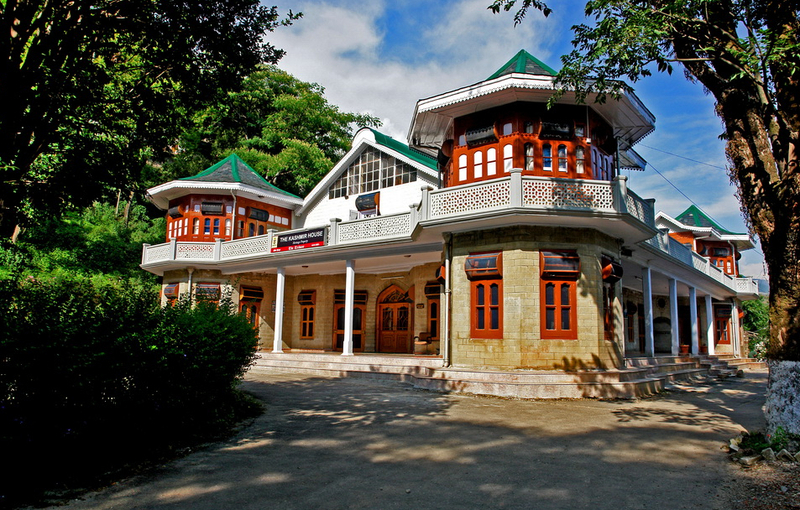 The former one is located opposite to green tea gardens and is encircled by a century-old deodar trees. The rooms are airy and well-furnished. All the accommodations have attached baths, running hot and cold water supply, parking space, restaurant, room service, and a conference hall in one corner of the red-brick building with multiple gables. The hotel accepts payments via MasterCard/Visa credit cards. The bookings can be made online through HPTDC website. 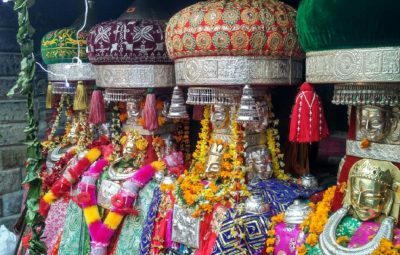 In the shadow of Dhauladhar Mountains, Dharamsala claims its name amongst the most frequently visited and famous tourist destinations. 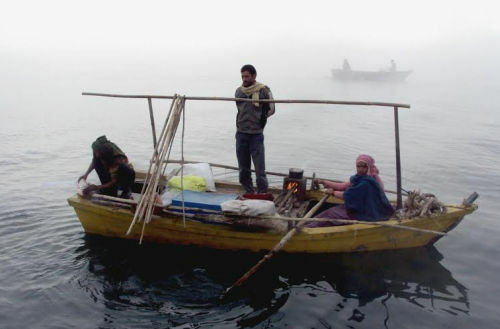 The city is situated in the upper reaches of the Kangra valley at an average elevation of 147 meters, spread in an area of almost 8.51 square km. The place is covered with coniferous forests of deodar cedar trees. McLeod Ganj is the most popular suburbs in Dharamsala. McLeod Ganj is also known for the Central Tibetan Administration or Tibetan Government in exile, where his holiness the 14th Dalai Lama resides. By Air: Again, the nearest airport is Gaggal Airport, about 15 kms from Dharamsala. 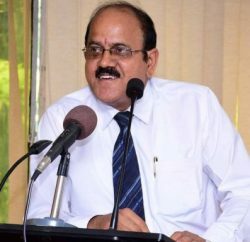 The air services aren’t regular owing to climatic and other conditions, so it is suggested to confirm the operational status of air services in advance. By Train: Trains from Pathankot railway station brings travelers to Kangra railway station. The distance between the two is 94 kms. Afterwards, public transport and private cabs are available in abundance. 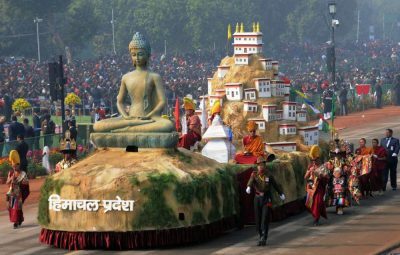 By Road: Being a popular tourist destination, Dharamsala is connected to major cities like Delhi, Chandigarh, Shimla, etc. via various transportation mediums. 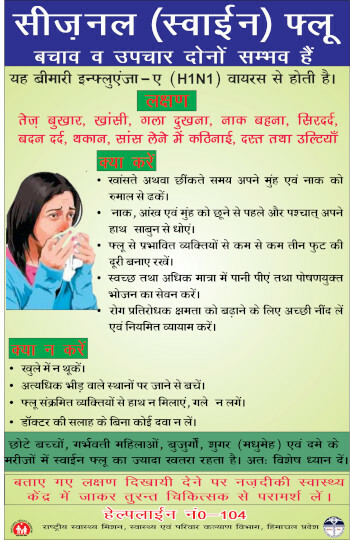 HRTC provides regular deluxe, air-conditioned, and regular bus services to Dharamsala. Tickets can be booked online through HRTC online portal. 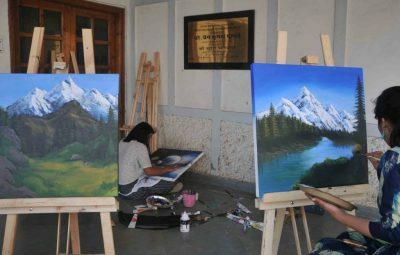 The Naam Art Gallery, Masrur, Bhagsu Nag waterfall and temple, Kangra Museum, Kunal Pathri temple, Chamunda temple, Dal Lake, Triund, Naddi, Thaneek Pura, Sidhbari are some of the notable nearby tourist attractions. 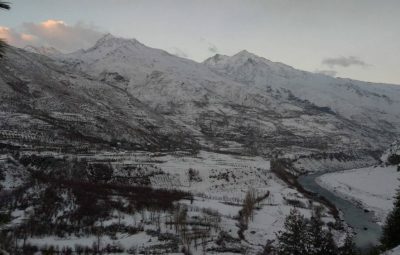 Other than that, one can also enjoy a long walk in major suburbs including Bhagsu Nag, Cheelgari, Dari, Kachehri, Khaniyara, Kotwali Bazar, Mant Khans, Sakod, Shila Chowk, and Yol. A number of trekking trails start from the foothills of Dharamsala, taking trekkers across Dhauladhar into the upper Ravi Valley and Chamba district. These treks are covered with forests of deodar, pine, oak and rhododendron, and are complimented by small and big water streams, rivers, lakes and glaciers. Try to book a plush room for yourself either at the Dhauladhar or the Bhagsu deluxe hotel if you are looking for a stay with maximum facilities like Wi-Fi, bar & restaurants with Chinese, Continental and Himachali cuisines. And, the best part is your deluxe room with state-of-the-art facilities is just a click away with upgraded reservation process of the state tourism department that accepts MasterCard/Visa credit cards payments via online booking.